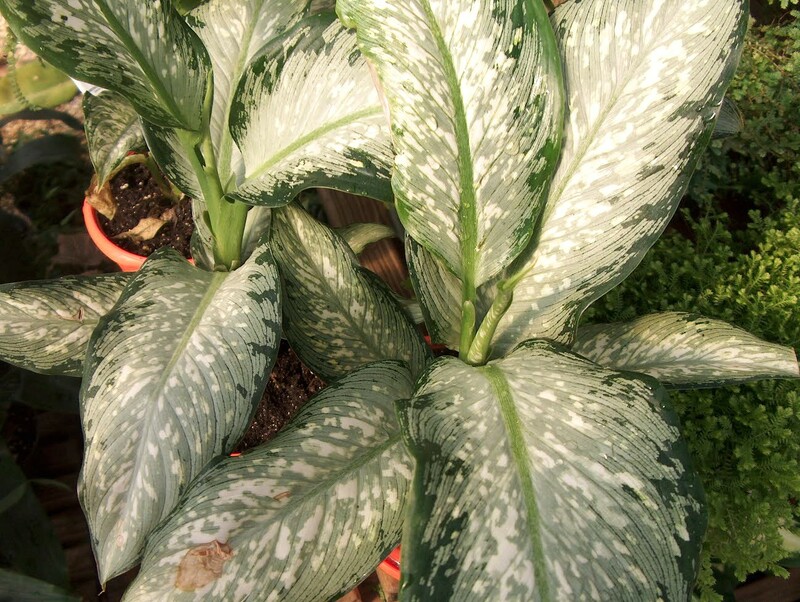 Comments: A popular plant due to it’s attractive pattern and much white and gray color in its leaves. Plant sap which may cause skin irritation and render one speechless if it get to the vocal cords. Over watering and/or fertilization will cause leaves to turn brown, starting at the edges. Mealybugs and aphids often are pest problems.